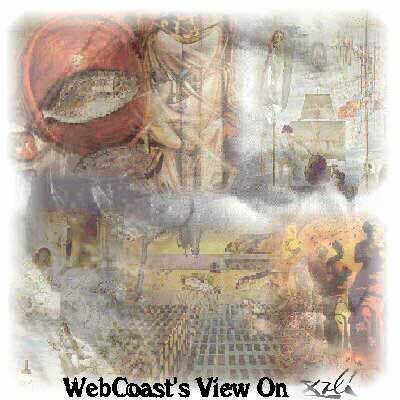 "Webcoast's View on Salvador Dali"
This Not For Profit website is dedicated to the life of Salvador Dali. Here you will find a collection of paintings ranging from his most earliest to his latest works. We hope you enjoy your visit. Sit back and click through the 150 plus paintings we have for your enjoyment. This collage titled "WebCoast's View on Dali", was created by our graphic artist to fool your imagination and focus your mind. It is a collection of several of Dali's masterpieces. But when you stand back about 10 feet from the picture, something unique happens. Go ahead, give it a try! No hallucinogens were used in the creation of this collage. All scans were done at 800 x 600 High Resolution (32000 colors). For best results, set your computer's video driver to these settings. This will give you the proper resolution of each painting. This Website is in no way connected to any Salvador Dali Museum, exhibit, or website or any other publication dedicated to the promotion of Salvador Dali. All web pages, layout, design and content of this Salvador Dali Exhibit Website, are the sole property of WEBCOAST and shall not be reproduced in any way or form for commercial purposes. This website collection is provided free of charge for educational purposes only. Its sole purpose is to stimulate cultural awareness among all sectors of our world population. No monies are collected or profits made from this website. All time and cost to maintain this website is donated free of charge as a public service. Enjoy! This site was designed and created by WebCoast (tm) for educational purposes only.